By the power of Grayskull, the most powerful man in the universe is now pint sized! In addition to He-Man, the Heroic Warriors are represented by Battle Cat, Teela, Man-At-Arms, Moss Man, the Sorceress & Orko! Skeletor's pint sized Evil Warriors include Panthor, Beast Man, Trap Jaw, and Mer-Man! 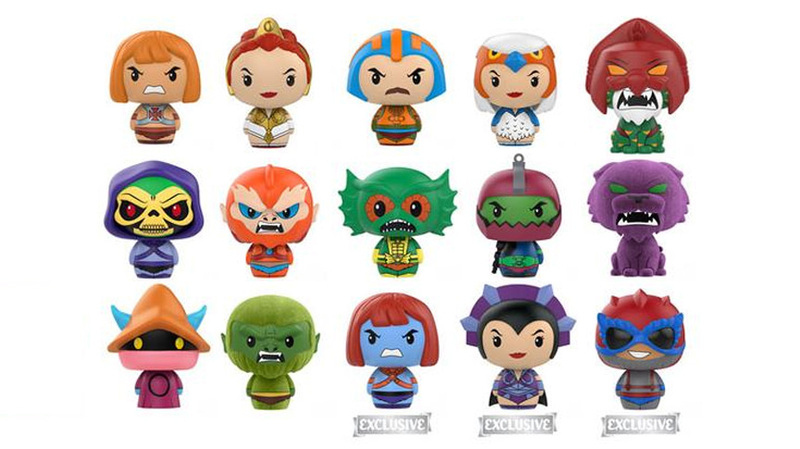 You'll be able to add these Pint Size Heroes to your MOTU collection soon! Look for Faker, Evil-Lyn and Stratos available at FYE!